Deadline: 31 May 2019. We at the Swiss Ornithological Institute in Sempach hope to inspire public interest in birds and raise awareness for their protection. Widespread understanding and appreciation of our native birdlife are key factors to the success of our efforts. The more people care about birds and enjoy watching them, the better our chances of implementing effective conservation measures for threatened species. Stunning photographs perfectly convey the fascination that birds evoke in us: images that display the striking colours of a bird’s plumage, introduce us to a wide range of behaviours, showcase the many shapes and sizes of birds from the Swan to the tiny Firecrest, and allow us to witness their aerobatic feats. In Canon Switzerland, we have found a renowned partner who shares our aspirations. A leading provider of high-quality optical equipment, Canon Switzerland supports the competition with technical know-how and the donation of the attractive main prizes. We are also deeply indebted to all our other partners who have supported the competition by donating prizes. Prizes as of January 2019. We reserve the right to substitute models and prizes. 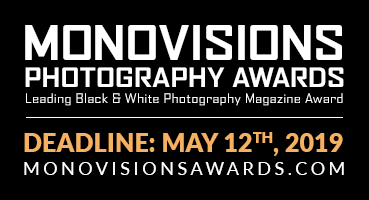 Participants can submit in each category a maximum of 10 photos online in a preview format during the month of May 2019. In June, the expert panel will make a preselection and request the selected images in RAW format or as the original JPG files. Based on this shortlist, the panel will choose the overall winner as well as three winning images per category in September 2019.